I am blessed to have received multiple job offers (industry, post-doc, and tenure-track) from my job search during the final year of my PhD program. Below, I reflect on this process and provide five tips for how to successfully navigate your job hunt. In the Fall, I will be starting as a Presidential Postdoctoral Fellow (PPFP) at University of Michigan. For years, I was told that most academic deadlines would be in December or January. 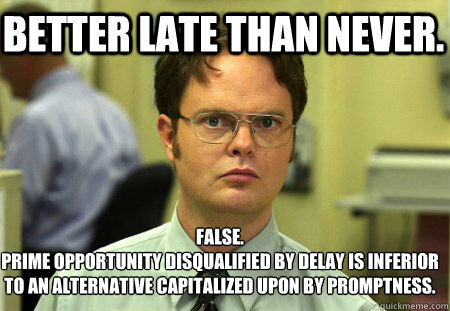 However, the PPFP deadline was November 1st! If I would have waited until November to check for deadlines, I would not have won this award. The deadlines can vary widely by field so check with your advisor on the typical application timeline for academia AND be sure to look at fellowship deadlines if you intend to do a postdoc, because the two can be very different.For those who are more interested in industry, be warned that companies may not be 100% sure of their openings until 2-3 months from the start date. I interviewed for a research position at a tech company in October (at their insistence), but was told that although I passed all rounds and was ready to be placed on a team, they wouldn’t know which teams had availability until July. I graduated in June. Needless to say, I did not wait and accepted another position. Therefore, it may not make sense to apply for an industry job until closer to when you would like to start, unless you are comfortable with waiting. 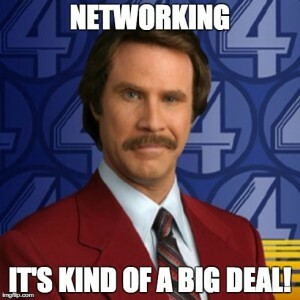 Most likely, if you have made it to your final year in graduate school, you have established your network. Specifically, you may have done an internship or two, presented at conferences, met peers, and schmoozed with top people in your field. Use these people! In any other circumstance, that may seem inappropriate, but they likely know of open positions in your field. If you haven’t made public that you are on the job market, contact these people directly, particularly top influencers in your network, and let them know!If you are on the shy side, use your advisor and committee. If you have not yet chosen a committee, try to choose people who are either rockstars in their own right (since their recommendation letters will hold a lot of weight) or know rockstars (that they can introduce you to). While it is quite cliche, it isn’t always what you know but who you know. Companies and universities can get 100s of applications for one position. It’s only natural that the easiest thing to do would be to initially filter out people who they do not have a relationship with, either directly or through a reference. 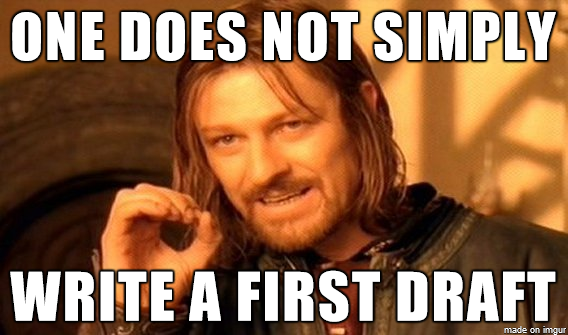 This is somewhat self-explanatory but you will likely have a typo in your first draft. Although you may just want to submit to get the application in, you don’t want to be perceived as sloppy or like you don’t care about the position. Once you follow my advice in step 1, work backwards from the due date of the application and start your materials two months prior to the deadline. In the first month, you should be gathering your teaching statements, editing your CV, or creating a research/design portfolio. In the next month, you should share your application materials with your mentors and peers (preferably through a writing group) to get feedback on how to improve your package. If possible, ask friends who currently have the position you are trying to get to review your materials. Once you get the interview (because I have faith in you, invisible Internet people! ), you are probably going to be stressed over the interview day, no matter what. It may help you to feel more comfortable to think of a great way to end the interview – with questions! Although you will likely have opportunities to ask questions throughout the interview day, the interviewer or faculty member will ask you if they can answer questions you may have at the end. This has always been the trickiest part for me because I am exhausted by this point, but it was helpful for me to ask other people what questions they asked in their interviews.Round up your mentors again or peers in your program who recently graduated. Ask them what questions they asked on their interviews and what questions they wish they would have asked to get their current position. Compare answers across multiple mentors/peers and create a list of ones you really want to know the answers to. It isn’t bad to ask questions that others asked. 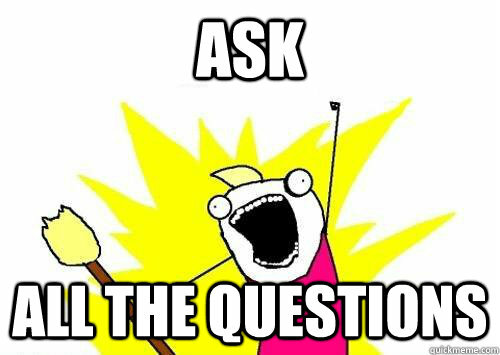 Also, don’t hesitate to ask the same question to multiple interviewees. It helps you compare answers and see if the company or department is consistent in how they train people. If people give contradicting responses, that might indicate a problem either in communication or how the organization is run. Think of yourself as a detective (like Sherlock Holmes or Steve from Blues Clues). You want to find out all you can to piece together a more accurate picture. Most likely, people are going to give you sugar-coated answers because they want you to come there, but you can start to read through the lines if you ask the right questions. Bonus tip: If you are like me and aren’t used to talking to multiple people for 6-8 hours for an interview, when you get tired of talking, try asking them questions! They love it. It shows your interest and gives you time to rest your voice. 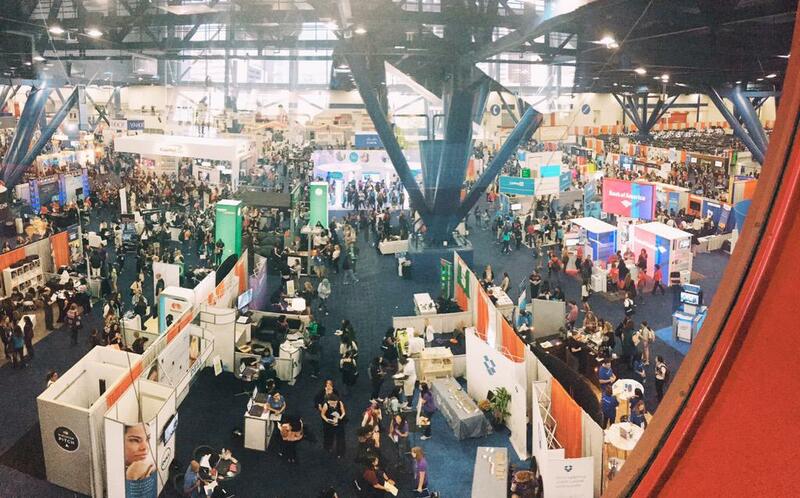 ICYMI, Grace Hopper is a celebration for women in computing fields which drew in ~12,000 attendees this year. Undergrads, grad students, professors, recruiters, and real adults (not in school) were in Houston last week. GHC is an amazing place to network. Speakers included Sheryl Sandberg (of Lean In and COO of Facebook), Hilary Mason (founder and CEO of Fast Forward Labs), and Susan Wojcicki (CEO of YouTube). Apparently there were also guest appearances from Satya Nadella (CEO of Microsoft) and Chelsea Clinton. From networking at the conference I was able to share about my new adventure, Brave Initiatives, a coding camp for girls in Chicago. I was also excited to meet current/former students interested in grad school. I dispelled myths that grad school was expensive (it’s usually free), convinced others that a PhD is the way to go (partly because it’s usually free), and encouraged some to pursue HCI as a research field. A friend and I were so motivated that we started brainstorming our Tapia proposals. I loved meeting up with old friends and making new ones! While I wasn’t looking for a job this year, I was happy to see that there were HUNDREDS of companies and organizations. It is encouraging to see that they are taking diversity seriously in their companies, especially after discouraging statistics being published within the past year. I loved hearing how other Northwestern students had 4 interviews lined up in ONE day (yes they offer on-site interviews)! Oh, and might I add that I racked up 12 free t-shirts, 4 mobile battery chargers, 2 headphones, 1 bluetooth speaker, and countless pens and sticky note pads? Aside from celebrity keynotes and an enormous career fair, there were a wide variety of technical talks, panels, and workshops at the conference. I’m a bit biased but I have to mention the panel I organized called Design for All with panelists from Facebook, IBM, Oculus, and Google. The goal of the panel was to make attendees more aware of how to design and do research with people unlike themselves – people living in other countries, of different ages, and with different abilities. Before the panel, I learned that it would take place during lunch time so I encouraged the other panelists to invite their friends so the room wouldn’t be empty. Not only was the room not empty with more than 500 people, but I heard some stood in line to wait for people to leave so that they could come in! They asked great questions and we eve had a line of ladies at the end of the panel waiting to talk to the panelists. Overall GHC was a success but I was so exhausted that I didn’t have time to post until a few days after. It will be in Houston again in 2016 (they must’ve gotten a great deal for a two-peat contract) so come next year. That invitation includes guys too! Don’t listen to other people’s advice. Nobody knows what the hell they’re doing. At the moment, Fitbit reigns supreme in the wearable computing arena. But Fitbit is a device. 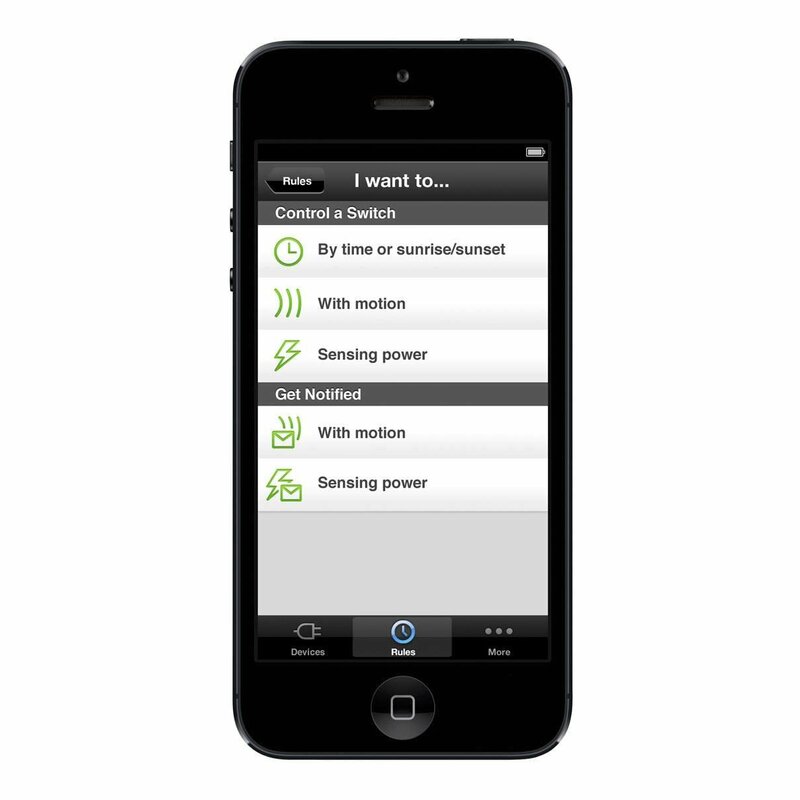 Other forms of wearables could be more embedded into one’s environment, more ubiquitous. While this may seem creepy to some people who aren’t frequent users of technology, I propose that wearables could lower the barrier of entry to technology for those who are digitally-isolated. This isolation could be attributed to a disinterest or satisfaction with current lifestyles, or it could arise from lack of access or mobility. For people who can’t afford a $1400 laptop or unable to walk to the library/computer lab, wearable computing is the solution. 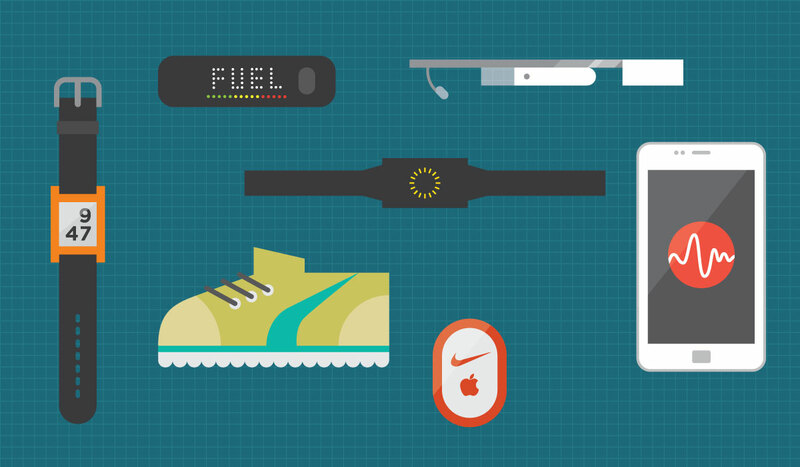 But what would wearables look like for such populations? As I hinted above, ubiquity is key. Undershirts could measure heart rate and notify a physician when there is an irregularity. Socks could include GPS sensors that can connect to kitchen appliances. They would be aware when someone is cooking but not in the kitchen, vibrating to signal that food has finished cooking.